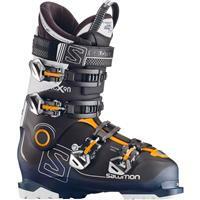 If you're planning a day on the slopes, the correct ski boots are the single most important element of your ski setup. 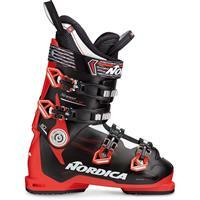 Choosing the right boots will have a huge impact on whether you're skiing without a care or distracted by painful, ill-fitting equipment. 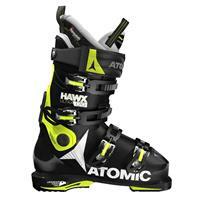 At that point, you'll wish you'd shopped our extensive selection of men's ski boots available at Buckman's Ski and Snowboard Shops. 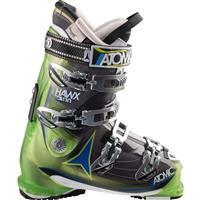 Everyone is unique, so finding the right ski boots to fit your lifestyle and needs is essential for a day full of winter fun. Whether you browse our online selections or come and visit us at one of our retail locations, Buckman's is staffed by real skiers and snowboarders with real-life experience. 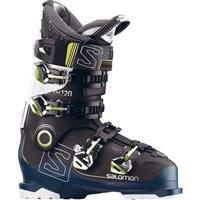 That means we can really help you find the ski boots that are right for you. 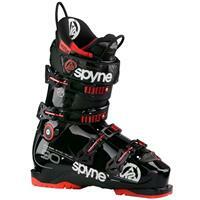 Ski boots act as a link between your body and your skis. 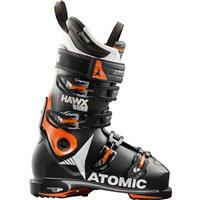 When boots fit precisely, they can translate your body's movements to a more controlled performance on the slopes. 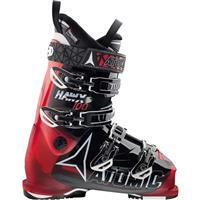 The shell of the ski boot is made of engineered plastic, and the form-fitting liners provide a snug fit. If the size and design of the boot doesn't match well with the shape of your foot, this will cause fit and comfort problems that compromise your performance. 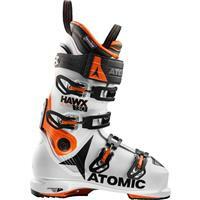 Flex: Ski boots are rated on a flex index, which indicates how difficult it is to flex the boot forward. The higher this number is, the stiffer the boot. 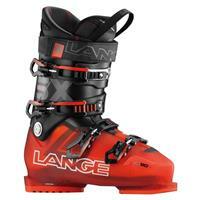 A more rigid boot allows for more power to be transferred to the ski's inside edge. 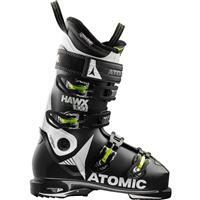 Many pro skiers prefer a higher flex index because it allows for better control and a quicker response at higher speeds. A softer flex helps beginners maintain balance. 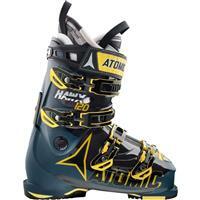 Boot Instep Height: Your instep is the arched middle part on top of your foot between the toes and the ankle. This area is extremely sensitive because of the many blood vessels that flow through it. 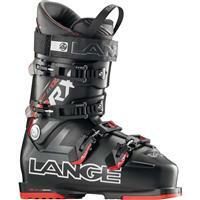 Boots too tight in this area will cut off blood flow and become uncomfortable after about 15 minutes of wear. It's very important to pay attention to the fit of this area, as it's more challenging to fix a tight instep height after you purchase your boots. 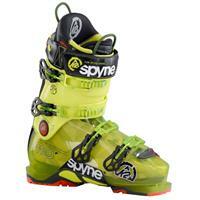 Last Width: The width of the ski boot on the inside at the ball of the foot is called "last width" or just "last." This is generally divided into narrow, medium, and wide. Skiers should not have a ton of room in this area, as this could lead to a loss of control. Look for a fit where your heel stays put! 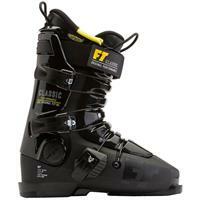 A tighter fit responds better in high-performance situations. Boot Calf Volume: Your calf goes from your ankle towards your knee. The narrowness or thickness of your calves will determine if you need a low, medium, or high boot calf volume. If this is too tight, it can cut off blood flow and make your feet cold and uncomfortable. 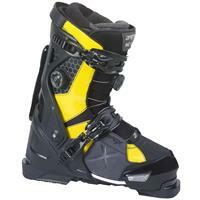 However, too loose and the boot will not move with you to make your turns. Loose volume can also lead to shin bang or blisters. Adjustments to calf volume can be made using the cuff buckles. 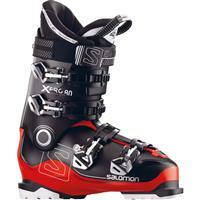 Why Shop Buckman's Ski and Snowboard Shops? 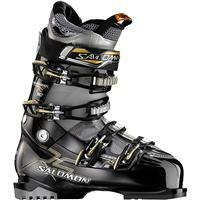 Buckmans.com is proud to provide men with ample ski boot options to keep you safe and comfortable and to aid your performance while you're carving up the slopes. 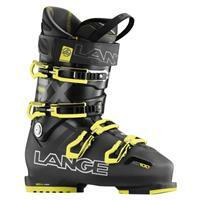 Our combination of exceptional customer service and high-performance products makes us your go-to ski retailer. Plus, even if you can't visit us in-store, our online selection can't be beat. Price-Matching: Our goal is to get you the best accessories, gear, and apparel for the best price. If you find a better price elsewhere, we'll match it. Free Shipping: When you order $50 in merchandise or more, we can provide free shipping on most orders to save you time and money. Green Initiative: Like most outdoor enthusiasts, we're committed to protecting the environment we spend so much time in. We are going green by incorporating solar energy, initiating recycling programs, and more. Whether you shop at one of our seven Pennsylvania locations or online at Buckmans.com, our goal is to get you the things you need for your next great outdoor adventure. Contact us if you have any questions. After all, our staff loves winter sports as much as you do!